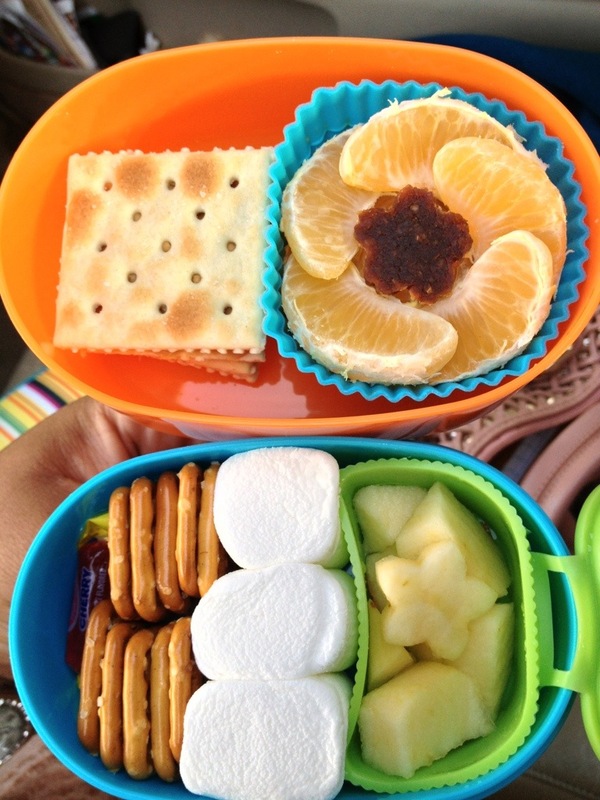 Peanut butter crackers, mandarin orange wedges with a strawberry fruit flat cut out. Pretzels, marshmallows and apple chunks with a flower cut out. I made Beef Stroganoff for dinner the night before and the kids thought I was the greatest mom on the planet. They requested dinner for lunch and it just so happened that I bought these nifty thermoses the day before. I filled them with boiling water and let them warm while I warmed the dish. 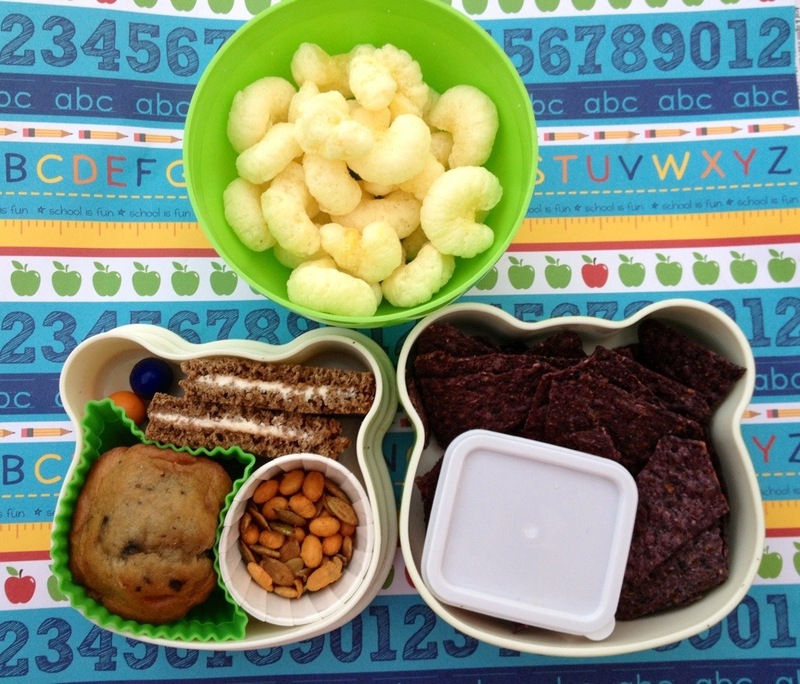 Emptied the water and filled the thermoses with the hot casserole The kids reported warm lunches and happy tummies. 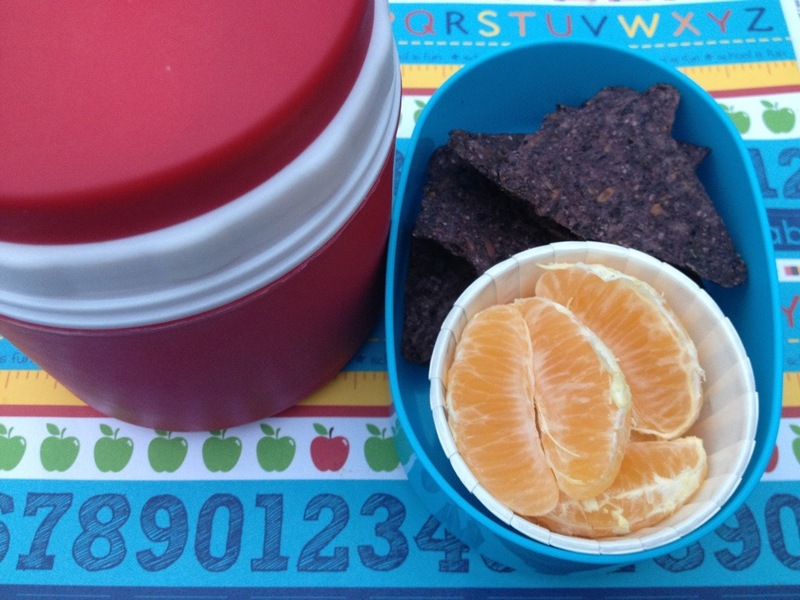 Micheal has organic blue corn tortilla chips and Clementine wedges in one tier of his newest bento box. 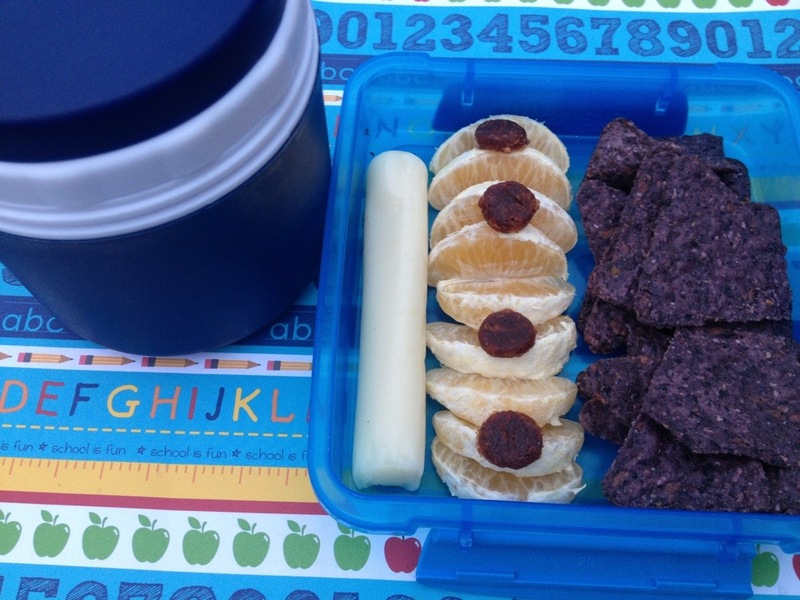 Gabriel has string cheese, Clementine wedges and strawberry fruit flat flower cut outs and organic blue corn tortilla chips in his Sisitema container. This last box is for Micheal. The top container is our plastic green apple filled with White Cheddar Pirates Booty! I didn’t tell the kids that I bought this snack until they were getting out of the car for school. I yelled after them that “I put pirates booty in your lunch! 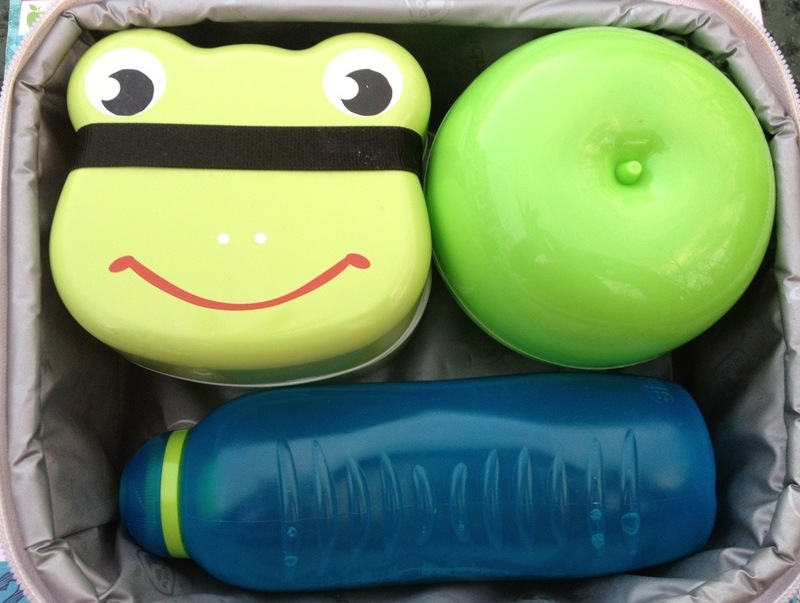 Have a great day!” They came running back to the car faces all screwy, saying “You put WHAT in our lunch?!?”. I enjoyed that morning. LOL! They came home raving about the stuff and giggle every time they ask for more. The rest of this box has pumpernickel cocktail bread with cinnamon cream cheese ( I thought the size of this bread was adorable but it turns out the bread is kind of hard. Kids were not feeling this though they loved the filling) blue berry mini-muffin, a mix of pumpkin seeds and BBQ soy nuts, organic blue corn tortilla chips and salsa. 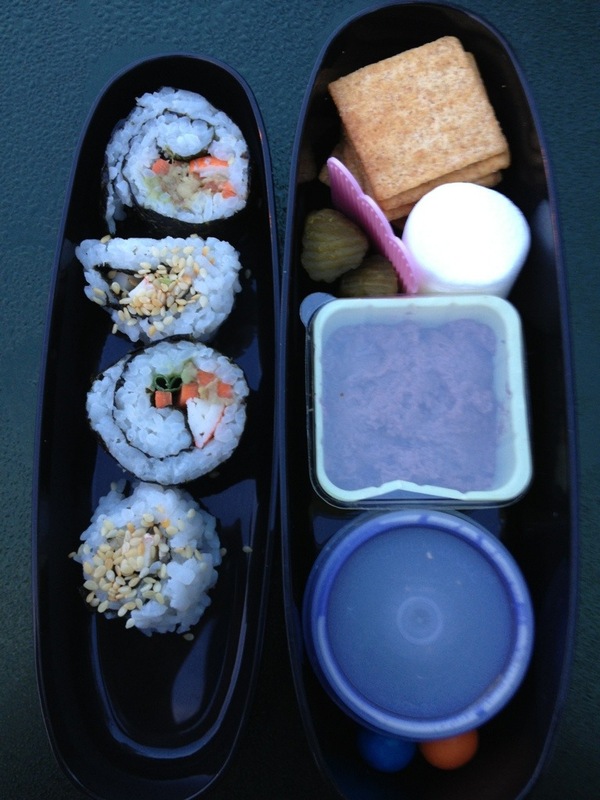 I will bid you a fond Bento-Box-packing-farewell with this last pic of the lunch box filled and ready to go! Previous Post Routines: Bedtime. The final frontier!